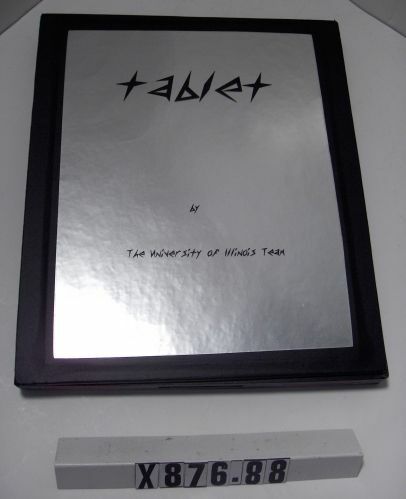 "Tablet by The University of Illinois Team" is printed on top of the object. 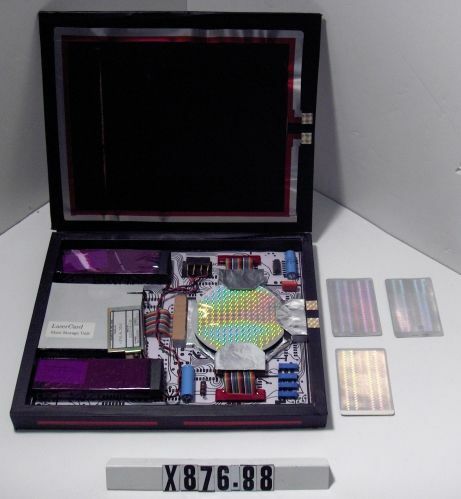 This is an original model of the personal computer of the year 2000, associated with the 1988 Apple Computer contest; 1st Place entry. "Co- donors:" Steve Skiena, Arch Robison, Luke Young, Kurt Thearling, Stephen Omohundro, Stephen Wolfram. PC of the Year 2000. 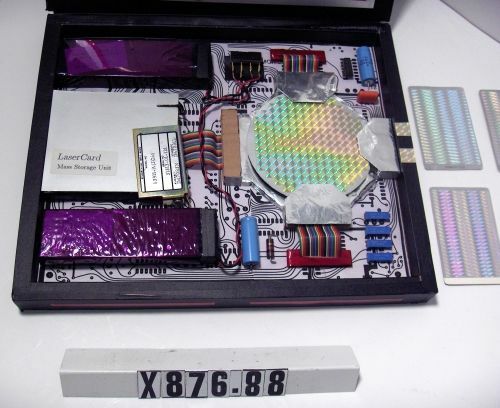 Object consists of model and three 3 3/8"x2" silver cards with holograms.